The stylish new T303 slider phone furthers Sony Ericsson’s commitment to broaden its appeal to a wider audience. Petite and good looking, it offers designer good-looks without the price tag to match. Hanover, Germany – 4th March 2008 – Sony Ericsson today unveiled the T303, an attractive phone that is small and neat enough to carry with you on every occasion. This compact slider phone has been given the high-end treatment, with a mirrored screen, metal housing and chrome finish. “The T303 is a great addition to the Sony Ericsson T-line of products, combining premium finish and materials with a good feature-set to deliver ‘style with substance’.” said Lykke Tærsbøl, Senior Designer at the Sony Ericsson Creative Design Centre. “The balance between shape and size in combination with the design makes it a truly eye-catching product. Our aim was to create a phone that would function equally as a daily companion as well as something to show off on a night out. The T303’s diminutive size is distinctive for all the right reasons. Because it doesn’t take up much room, it’s perfect for those nights out when space is limited and not everything can come out with you. The T303’s compact size means that this phone will always be one of the chosen few. The T303’s metal and chrome finish makes it hard for those around you not to be impressed by its premium appearance. Its soft shape and smooth sliding mechanism make it a feel-good experience that you can enjoy every day. And the mirror glass display on the front of the phone goes yet further in making the T303 even more stand-out in its appearance. The T303’s megapixel camera is ready to take pictures in an instant. So if you come across the perfect shoes whilst out and about, but want a second opinion, just one quick snap and you can send a picture message to one of your friends. You can use Bluetooth™ technology to transfer photos wire-free from your phone to a compatible computer, and then email them to any number of helpful style-advisers. Or just to send the photos of a day’s adventure directly to a friend’s phone. With life being ever more hectic, it’s essential to be able to slow down the pace and take time out, whenever you get the chance. The T303 comes with a built-in FM radio, meaning you can tune in, chill out, and let time just pass you by. It also has its own media player and comes preloaded with Sony Ericsson’s TrackID™ feature. 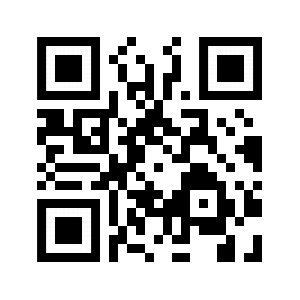 Record a clip of a song in a bar or café and find out instantly what track it is and who sings it. With such a good-looking phone, you’ll want to keep it that way. The Protective Case IDC-22, part of Sony Ericsson’s Design Collection, gives you the opportunity to develop your stylish look still further. Not only will it help keep your phone looking good, but it also has room for all of those essentials…your credit cards, keys and your T303. 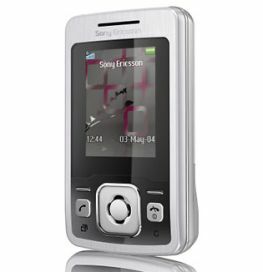 The Sony Ericsson T303 will offer designer good-looks without the price tag to match. The T303/T303c is a GSM/GPRS 900/1800/1900 phone that will be available in selected markets from mid 2008. The T303a is a GSM/GPRS 850/1800/1900 phone that will also be available in selected markets from mid 2008.